Supertubes has made Jeffreys Bay world famous due to the perfect waves that peel down the point year after year. Many people made J’Bay their home and sacrificed careers and even their country of birth for the thrill of riding the freight train swells that caused surfers from around the world to decide that Supertubes is one of the 10 best waves in the world. The 2008 Beijing Olympic Games saw the birth of a new water sport, namely open water swimming. A 10 K marathon swim was included in the ‘08 Olympics and the numbers of people who have been attracted to the sport saw a dramatic rise. In the past the traditional mile events like the Redhouse River Mile, Marina Mile and the Midmar Mile were considered to be long distance open water swim events and swimmers flocked to these swims in big numbers. 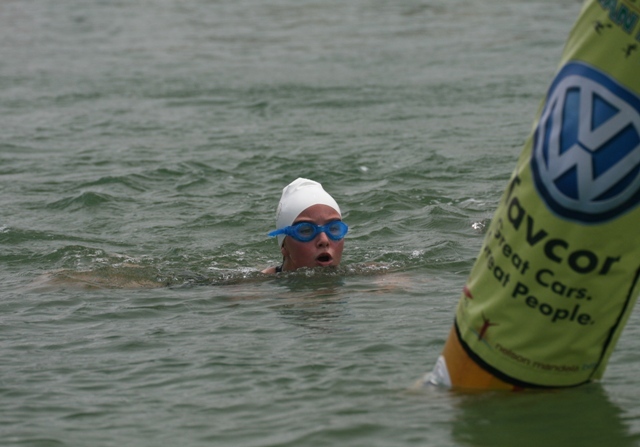 Midmar remains the biggest open water swim in the world and attracts around 17 000 each year. Then there were the extreme swims, the king of which is Robben Island to Cape Town. The first Robben Island swim was recorded in 1899 when Henry Hooper swam from the island to the old Cape Town harbour. The Eastern Cape has a long association with open water swimming when Springbok lifesaver Mark Edge did the Robben Island swim and other extreme swims in Europe in the late 1970’s. Edge was renowned for swimming alone between Kings and Humewood beaches in Port Elizabeth as part of his training programme. In the early 1990’s the Marina Martinique was built in Jeffreys Bay and the original vision was to see water sports flourish in the canals. Triathlons and Mile swims were held in the early days. Louis Stephenson who was the general manager of Martinique at the time was an avid triathlete and he began open water swim training in the canals in 1993 together with John Hastings and Brenton Williams, who later founded the Kouga Swim Club. Geoff Grylls the legendary Springbok swimmer was another early pioneer of open water swimming in the Marina. 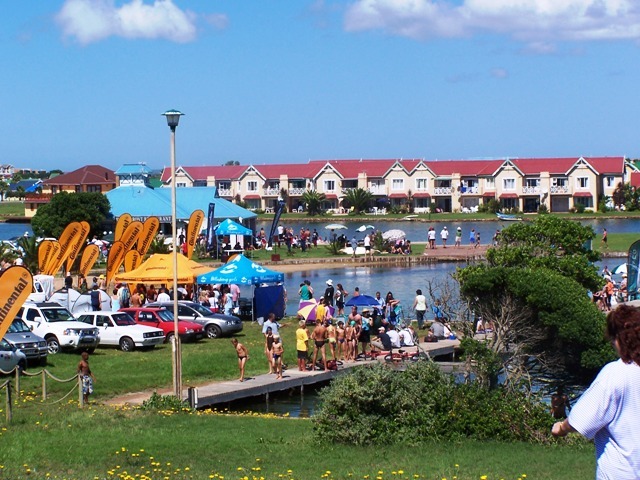 In 2002 Yvonne Lentinello who was one of the first estate agents to sell property on Marina Martinique and Brenton Williams got together to reintroduce the Marina Mile as both saw the potential in holding such an event on a regular basis in Jeffreys Bay. By 2007 Swim South Africa had put together a swim series that incorporated a 3K, 5K and 10 K swims to give our swimmers the opportunity to qualify for the Olympic Games. The Marina quickly became the venue of choice for the Eastern Cape leg of the series. Realizing that the Marina is one of the best open water swim venues in the world, the Kouga Swim Club together with EP Aquatics and Zports teamed up to present the EP Open Water Swim Series in the Martinique. The series comprises of 6 events during the summer months and includes the Marina Mile that will be held on 23 December. Accurate times are needed for open water swim events, which is one of the main reasons why the Martinique is regarded as a world class venue. 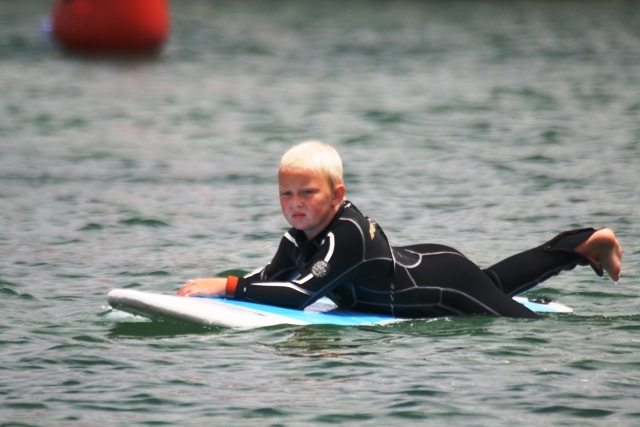 There are no currents or tides that affect swimmers and the wind is rarely a factor. The canals are safe as there are no dangerous predators and should a swimmer cramp it is easy to reach the side walls. Just as Supertubes put Jeffreys Bay on the map for being a world famous surf destination, it is only a matter of time before the town is also known world wide as one of the best open water swim destinations and will attract many local and international visitors to our shores.